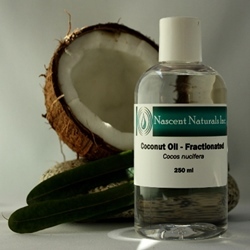 Coconut Oil Fractionated Carrier oil – Nascent Naturals Inc. Stability / Shelf Life: Entire composition of significant fatty acids makes it one of the most stable carrier oils. Not prone to rancidity with indefinite shelf life. High OSI rating. Storage: Storage at temperature range of 50–70°F away from direct sunlight is adequate. Keep tightly capped after use. If you purchase large quantities for therapeutic use, keep only a small amount (6 – 10 oz) on hand in a smaller bottle with the rest stored away. Exposure to air and in some cases high heat is what can most easily destabilize vegetable oils. Often referred to as nature’s baby oil, and a healthy alternative to mineral oil although more expensive. Fractionated Coconut oil is obtained by pressing the white flesh found inside the shell of the husk. It begins as solid white crystalline fatty oil which liquefies only when heated above 90° F with an obvious coconut odour. A “fractionated oil” is obtained when the whole oil is heated, and specific chain tryglycerides, which normally give the oil a solid composition are removed. The result is that the oil remains liquid even at cold temperatures, however it will begin to solidify at –20°F. The refining process to fractionate coconut oils does not involve solvents or chemicals. Coconut oils in general are very skin friendly as their fatty acid composition is very close to the chemistry of sebum in our own skin, the fractionated grade is lighter and non-comedogenic. Also useful for Aromatherapy since it is colourless, odourless, penetrates the skin easily and is partly soluble in water. It also has an indefinite shelf life. The oil can be added to other less stable carrier oils to improve their shelf life. 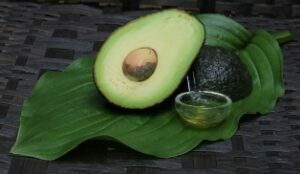 Also used as an aid in tanning, an emollient for the skin and as a pomade for the hair. Now more readily available, and less expensive, it is one of the favourites used by Aromatherapists and cosmetic manufacturers. Massage Oil: Excellent oil to use on its own as it absorbs well with little to no greasy feel. Non staining as well. Because it absorbs well, it may not be viscous enough on its own for some massage applications. 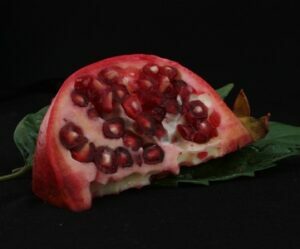 However, it can be added to thicker oils such as Almond or Grapeseed to create customized massage blends to accommodate patient’s skin, which are more viscous and nourishing. Will improve shelf life of, and extend other concentrated carrier oils such as carrot tissue, rosehip, or seabuckthorne. Bath Oil: Partly water soluble so will not leave thick oily film in bathtubs. Essential Oil Blends: Will not oxidize when blended with essential oils so one of the best choices to mix with essential oils. Precious oil dilutions, personal perfumes or scented bath oil formulas are very stable with extended shelf life. Product Manufacturing: Excellent for cream and lotion formulas as it is quite stable, easily absorbed and tolerates high heat during manufacture of products. Most useful in delicate formulas such as face, and eye creams. ** Not suitable for use in formulas which are anhydrous or have very low water content such as ointments or salves.